In software development, we use a variety of techniques to help us understand the software we’ve written, whether it works as expected, and whether it will be easy to maintain over time. One of the techniques we use is called static source analysis, and it can tell us a lot about the maintenance requirements of our code. Static source analysis (also often referred to as simply “static analysis”) is the practice of examining source code while it’s not running and gathering a variety of metrics on the code itself, without regard to how it runs in an active environment. Static analysis can reveal technical debt by identifying sections of code (called a function or method) that are excessively complex, have numerous decision points, or are simply too long. With static analysis, we often look at three metrics: number of statements, statement nested depth, and cyclomatic complexity (it’s not as scary as it sounds). Number of statements is defined as the total number of actual functional statements in a section of code — these are the lines of code that do actual work as opposed to empty lines that exist for formatting or comments that explain what the code does. Statement nested depth refers to the maximum number of logical decisions necessary to reach a statement of code. Cyclomatic complexity is the total number of decision points in a section of code. In general, code sections should contain as few statements as necessary to carry out their function in a clear and readable way. To this end, software engineering best practices tend to advocate for code sections that are small, quite often around 10 statements. There isn’t an absolute rule and sometimes code sections are rightfully longer. Instead of enforcing an absolute limit, the best practice is for each code section to do only one thing. As code sections grow, it becomes increasingly likely that they are doing more than one thing and should be broken into multiple sections. Small, single-purpose sections are easier to understand, easier to debug, easier to test, and easier to maintain. Code that is deeply nested is harder to work with because it requires keeping more information in mind about the logic necessary to arrive there. This is probably most easily demonstrated by example. In this case, the nested depth is seven (the indentation helps us count it). When looking at this, it’s much more difficult to keep in mind all of the necessary conditions that led to washing the car. If later in the life of this code it was necessary to add some alternative paths (where, for example, under certain conditions you paint the car rather than wash it), it’s important to really understand all of the existing conditions; otherwise, the new code could introduce a lot of new bugs. Nested depth applies to individual statements rather than entire sections of code, but the highest depth is called the section’s “maximum nested depth.” As with the number of statements, there is no absolute upper limit. A reasonable goal is for all sections to have a maximum nested depth of five or less. Where depth reveals the maximum number of logical decisions necessary to reach a statement of code, cyclomatic complexity tells us the total number of logical decision points in an entire section of code. The fewer number of decision points in a section of code, the easier it is to understand the code and all of the ways it may execute. It’s clearer how all the statements are related to one another and it’s much easier to debug and maintain. While the full math around cyclomatic complexity is a bit hairy, there is a shortcut: count the number of “if” statements and add 1. This simple “Monday” example has a complexity of 6. Now imagine that this code is expanded to every day of the week and every time that may be of interest. Even just expanding for the days of the week would result in a complexity of 42. Once all of that code was written out, it’s easy to see how it would be difficult to understand all of it as a single thing. High complexity often indicates a section of code that is trying to do too many different things, similarly to the number of statements (which for the expanded version of the above would be 105). There are tricks that allow developers to write this sort of code in fewer statements, but those tricks don’t reduce the number of logical decisions. That’s why we consider cyclomatic complexity in addition to the number of statements. Maintaining code requires a good understanding of the logical decisions, and proper testing requires running all of them. The higher the cyclomatic complexity, the harder it is to write good tests, understand the code, find bugs, and maintain the code. Like with the other metrics, there is no absolute upper limit, but best practices aim to limit complexity to around 10. Most sections will likely have complexities as low as 1 or 2. To reduce the complexity of the example above, one good practice would be to create a code section for each day of the week instead of one code section that controls all the days. 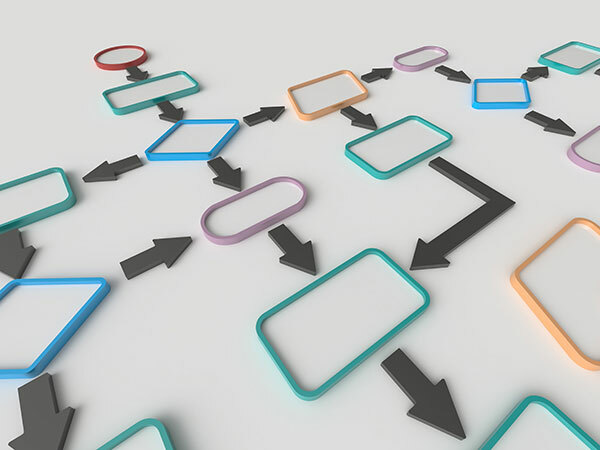 This way, the logical decisions necessary for Monday are grouped together into one section, making them easier to reason about and easier to test. Government at all levels — federal, state, and local — has a lot of legacy software systems. 18F certainly runs into them all the time in our work. Being able to quickly analyze these systems and point to potential problems is crucial if we’re going to attempt to bring these systems into the modern era. Static source analysis can be an essential tool in this work. It can give teams insight into opaque systems and help developers understand what fixes can make the biggest impact or whether an entire system needs to be replaced. If you or your team often works with legacy systems, consider adding static source analysis to your toolbelt.This post was originally published on the 18F blog.